Magician shows a card with a hole in it. He says he is going to push a half dollar thru the hole. Effect: Magician shows a card with a hole in it. He says he is going to push a half dollar through the hole. This appears to be impossible because the half is just too big for the hole. 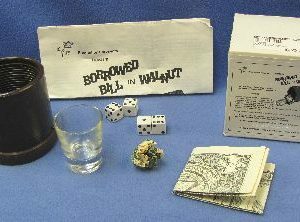 After the groans from your spectators about this old joke the magician states “I see you don’t like this. 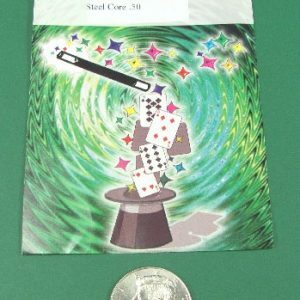 So we’ll try something different.” Magician places the coin into the folded card. The coin partially comes through the hole in the card but will not go all the way through because the hole is too small. The spectator can even pull on the coin but it will not come through the hole. 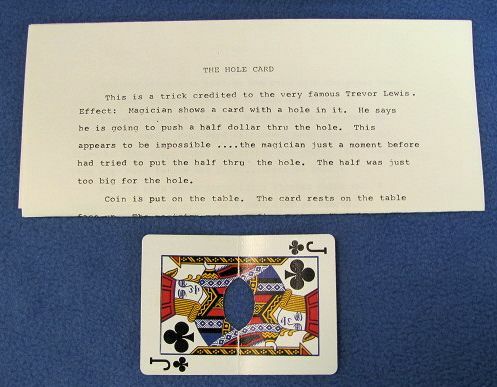 Now unbelievably, the magician causes the coin to penetrate right through the hole! The card is opened up and the card is not damaged in any way. 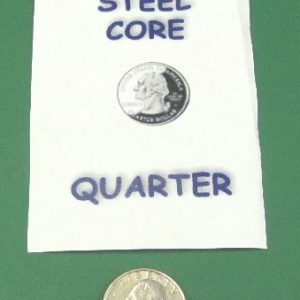 How the half dollar passed through the small hole remains a mystery.